Tooth Fairy Letter No Thanks! Yes Please Its Free! 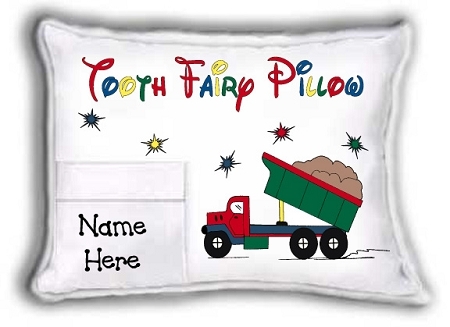 Our Personalized Tooth Fairy Pillows are made from high quality 50/50 poly-cotton fabric. They measure 6"x8" and are richly trimmed with 1/4" piping to give them a finished look. Every Tooth Fairy Pillow is personalized by hand with a permanent fabric paint pen in black to make the name stand out. Our Tooth Fairy Pillows are NOT machine washable they should be spot-cleaned and air-dried. These are made especially for you, so please ensure accuracy and be advised that once placed your order is non-refundable.